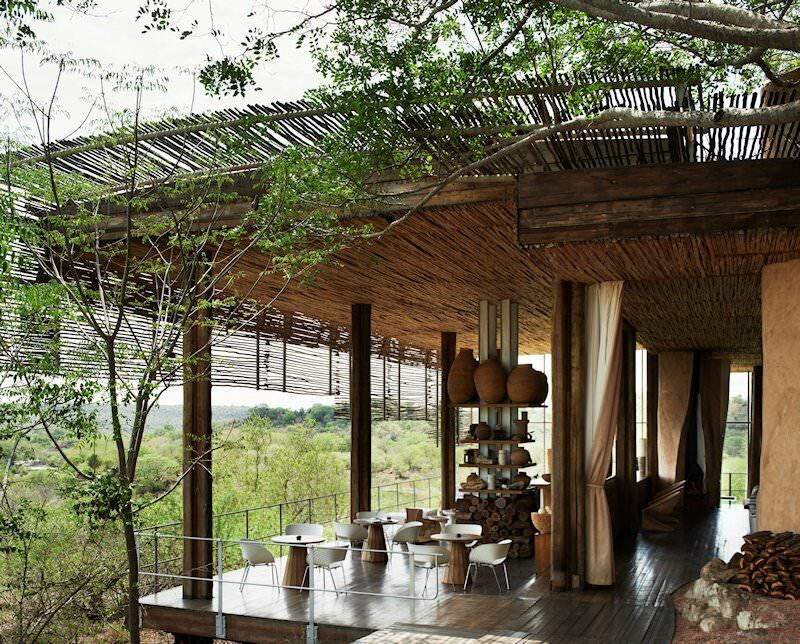 Singita Lebombo is located in the eastern reaches of Kruger near the Lebombo Mountains. 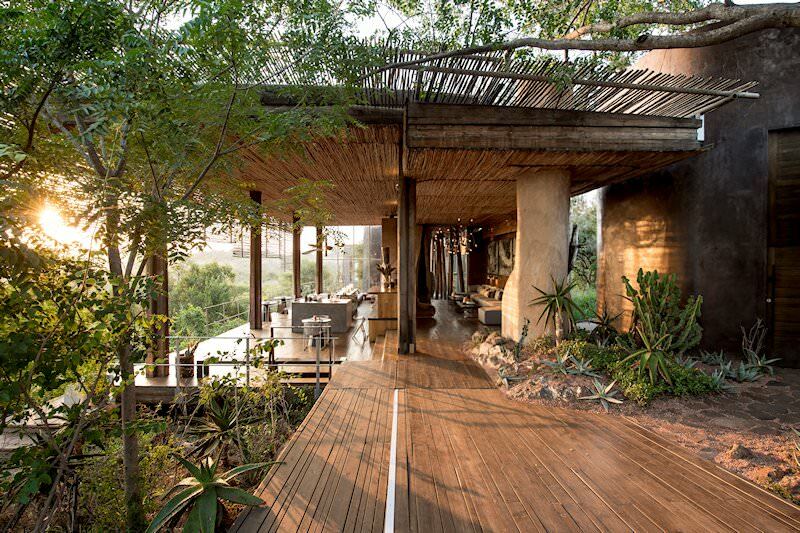 Singita Lebombo Lodge is situated in a concession within the world famous Kruger National Park. 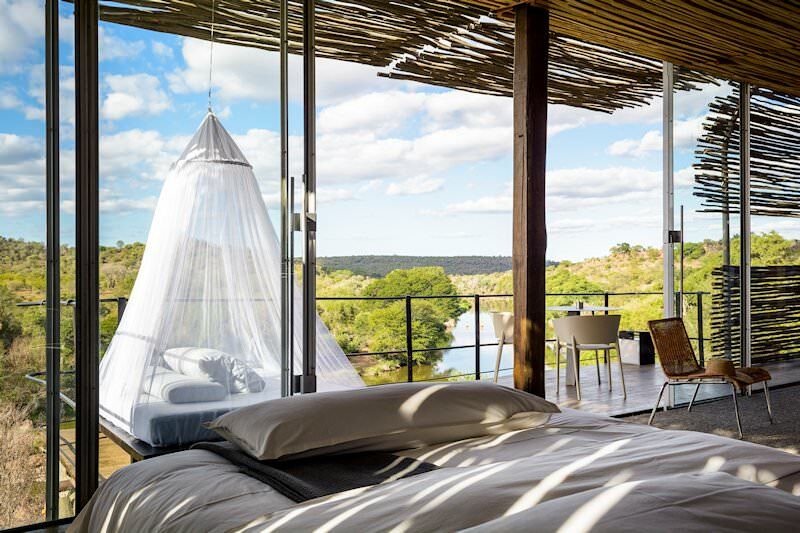 The lodge offers an exclusive South African safari within Kruger Park where, away from the day visitors and the busy roads full of tourists, Lebombo Lodge provides luxurious accommodation overlooking the N'wanetsi River. 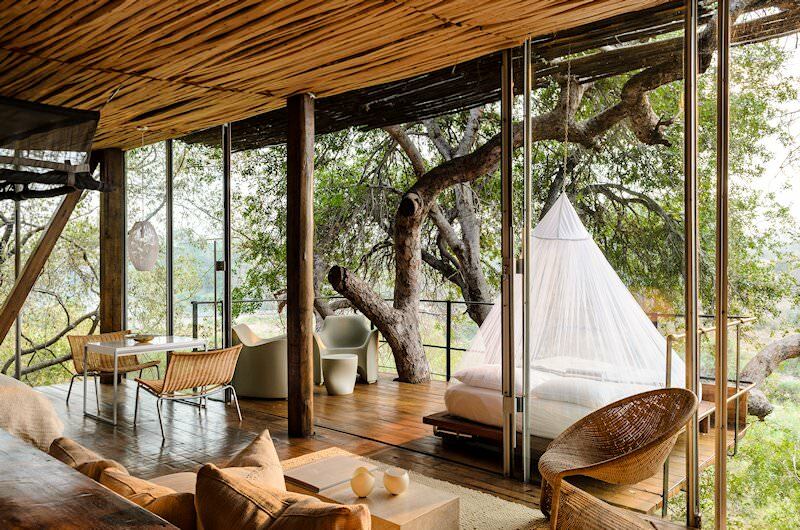 Singita Lebombo Lodge offers 15 loft-style suites, all en suite, perched on a cliff overlooking the river. Children over the age of ten are welcome at the lodge. There are a range of activities that guests can partake in to experience the best possible safari. Game drives are at the top of the list, as no safari can be complete without experiencing the magnificent wildlife of Africa up close. Closer still are guided walks, with a tracker and guide to track animals in the African bush. Mountain biking, archery and fishing are for the more adventurous, while the gallery, gym and lodge pool provide additional leisure. 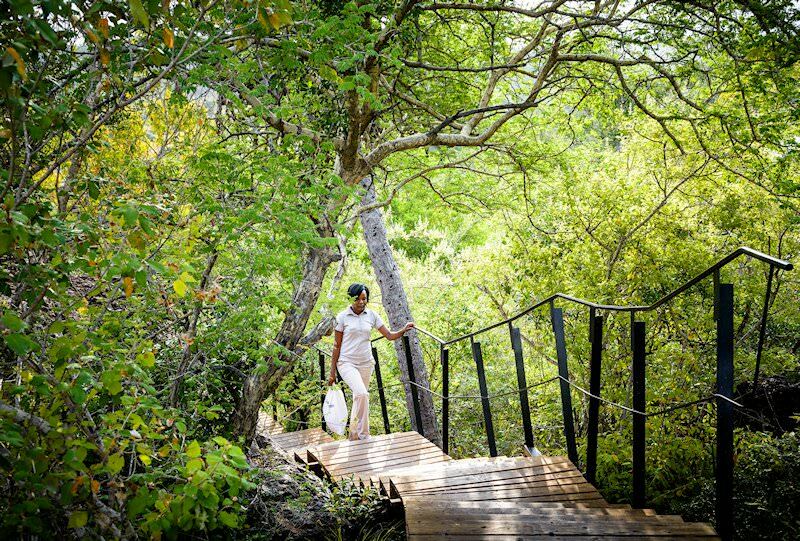 The Bush Spa offers an array of treatments, all designed from a holistic approach to enhance beauty and tranquility through personal attention. Experience the treatments in the privacy of your suite, on the private deck or at the spa. Personalized wine tasting at the wine cellar which holds some of the Singita Group's 20 000 bottles will be another truly unique experience at Singita Lebombo Lodge. 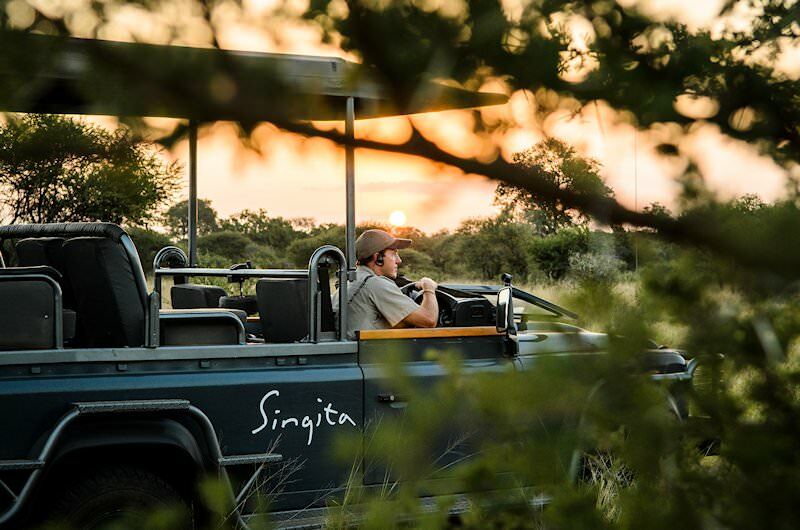 From O R Tambo International Airport, guests are chartered directly to the Singita private concession for their luxury Kruger National Park safari. 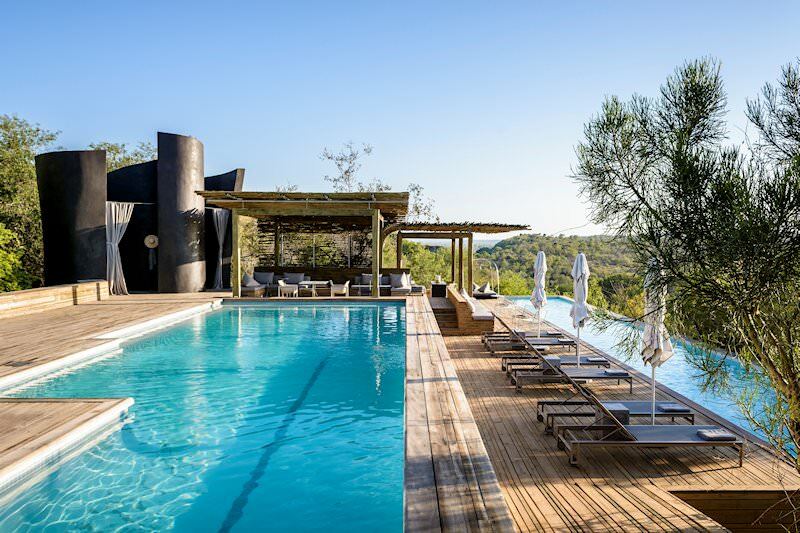 Singita Lebombo roosts on a hilltop near the park’s Lebombo Mountain border, ceding spectacular views of the surrounding bushveld and waterhole below. The units are reed-thatched with full-length glass sliding doors providing absolute panoramic access. 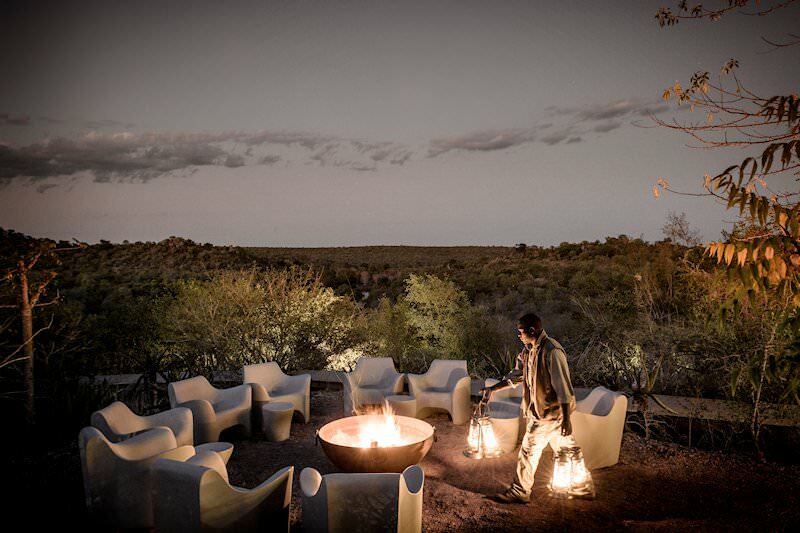 Fine dining characterizes every meal on this top-end safari in South Africa's Kruger National Park. The Big Five occurs in abundance throughout the park, and an open-air 4x4 game drive will ensure you do not miss out on the wild experience. 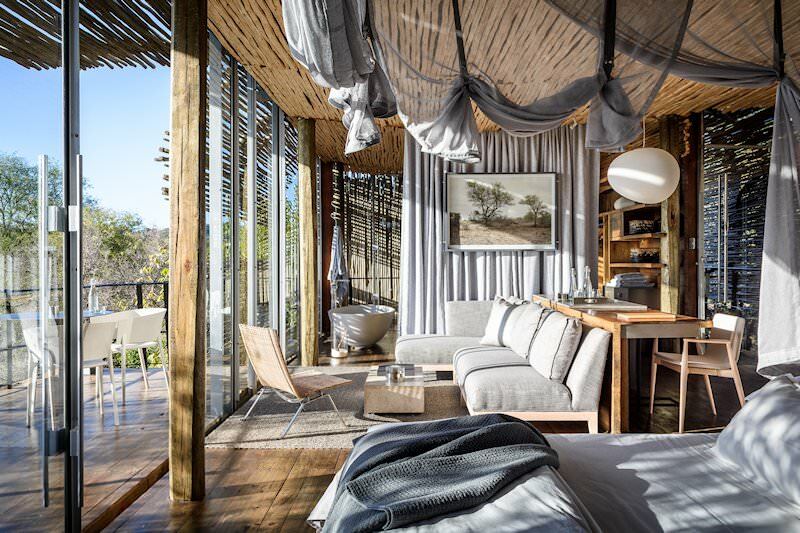 Additionally, guests can opt for a safari walk, relax poolside, visit the Singita School of Cooking in the staff village, stargaze and/or mountain bike. The lodge's location guarantees privacy, exclusivity and once-in-a-lifetime sightings. 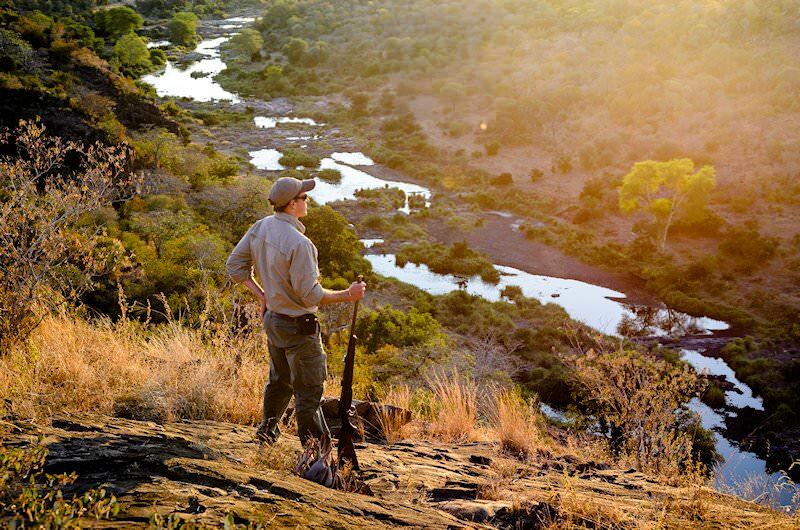 South Africa's malaria-free reserves and parks are ideal for family safaris. Botswana is one of the continent's most sought-after safari destinations. Namibia is a unique safari destination with awe-inspiring desert landscapes. 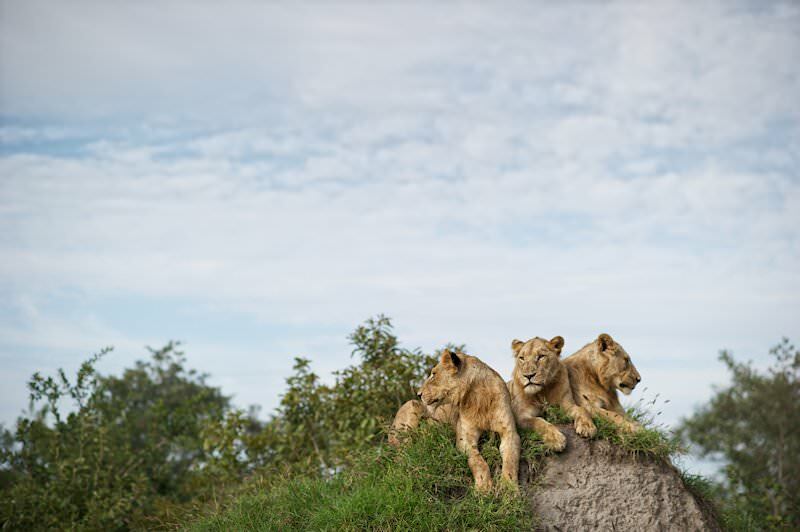 Zambia's safari areas are remarkably remote and barely touched. Zimbabwe's most popular safari areas include Vic Falls, Hwange and Mana Pools. Mozambique's 1000km coastline is replete with fine beaches and coral reefs. The Kruger National Park boasts a wide variety of accommodations options for safari enthusiasts, from camping to lavish lodges. Our luxury African safari packages count amongst the finest luxury travel experiences available in the world today. The Big Five are the continent's most illustrious mammals, inspiring awe from all who encounter them on safari. The African lodges used in our safaris have been carefully selected for their high service levels and rewarding game viewing opportunities.